Sorry guys, but if you haven’t already, it’s time to put away the Christmas decor. I know it feels like you just put it up but it’s 4 weeks past Christmas and you don’t want to be the people in February who are finally packing up their Christmas tree. Red and green are the staple colors of Christmas so an easy way to transition to winter decor is by switching out your red decor for blue and gray accents. I suggest keeping some greenery from the holidays to keep that winter theme and the subtle blue accents will enhance the feeling of a wintery home. 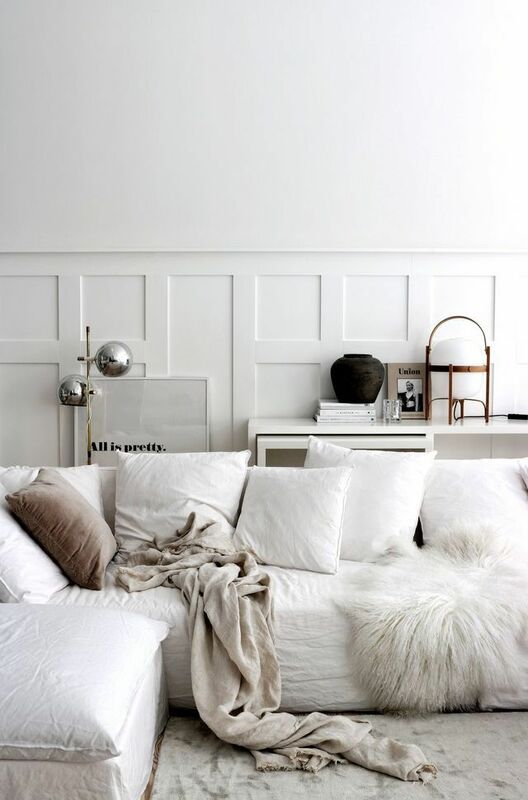 Incorporating the color white in your home is an great way to tone down the Christmas and bring out a subtle winter feel. Include warm wood accents to add color, texture, and warmth to the space. Gold accents in furniture, hardware, candlesticks, or decorative objects are also a fun way to enhance your winter decor. The number one way to create a cozy winter theme is by adding tons of texture! Velvet pillows, knitted blankets, and a sheep skin rug are all great options for adding texture but you can also add texture through rugs, baskets, or even wood logs. Using a variety of textures (i.e. fabric, wood, wicker, etc) is going to add dimensions as well as create a space that feels comfortable and inviting.